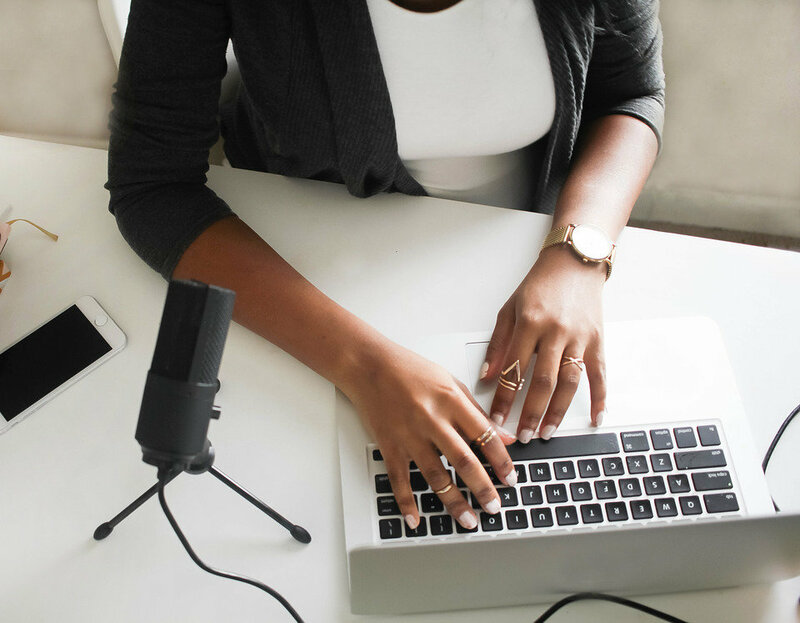 In this post, we'll look at the 4 most important reasons to be doing live Q & A's (spoiler, it can actually help you grow your audience) and how to avoid the embarrassment of no live viewers to ask the questions you have the answers to! 1. Relationships: Hosting a live Q & A is an opportunity to have an open dialog with your audience. This open dialog creates conversations and develops know, like, and trust. 2. Authority: Hosting a live Q & A positions you as the authority with the answers. You have the opportunity to get to know the problems your audience has and showcase yourself as the problem solver. 3. Social Proof: People ask questions they want answered to people they believe can answer their questions. hosting a live Q & A has built in social proof written all over it. 4. Grow Your Audience: Whenever you do something in your business that creates what I call the "fabulous trifecta" of relationship building, authority, and social proof...your audience will grow. This all sounds great Alice...Now, how do I avoid the embarrassment of no one showing up to my live Q & A? The truth is, there's no guarantee you'll have live viewers. BUT, there are several things you can do to increase the likely hood of having live viewers, AND be prepared for a no live viewer situation so you still get ALL the benefits of a live Q & A. You can still have a successful live Q & A with no live viewers. And here's how you'll do it. It all starts with a plan. Pick a date and time that you think your audience will be online and available. Do they have a full time 9-5 job, schedule your Q & A in the evening, or maybe a weekend. know your audience and what day and time would fit best into their schedule. Consider a date that's at least a week out, but no more than 10 days out. At least a week gives you time to promote the event, more than 10 days out and you could lose momentum. Once you've got the date, it's time to promote it. You can schedule your Q & A on Facebook. I did a quick tutorial on how to do this here. 3rd party apps like BeLive.tv also have a scheduling options for Facebook lives. Just go to your providers website for their tutorial. This will create a scheduled live post that your audience can click on to get reminders. You can also pin it to the top of your page so new visitors see it. You have your date and you've scheduled your live Q & A on Facebook, let's look at how you can promote it to get live viewers! Go live to announce your Q & A event. Make it a short sweet to the point live. Announce the date, time, and tell them to find the pin post to set the reminder. Also, and this is important, ask them to submit questions ahead of time. Comment below or PM me your questions if your not sure you can make it live. This does a few important things for you. It gets you questions ahead of time so that you can prepare, if there's no live viewers, it gives you audience questions to answer, and most importantly, anyone who submitted a question will at the very least, watch the replay. You'll always have more views on the replay and this strategy will help you get even more. Mention on other live-streams. If you're going live regularly, you can add reminders for your up coming Q & A event. If you do a live interview with someone else, you can mention it there too. Blog post. Write a blog post or update a popular blog post to include the Q & A event and add a sign up for reminder link. Schedule 4 email sequence, 3 reminders with a link to the scheduled live, 48 hours, 24 hours, 30 minutes and 1 for the replay link email. This is also a good place to ask for questions ahead of time. share your blog post on your social media profiles. If you're in groups that have a blog post sharing thread, share it there too. No spamming, spamming is gross. Don't be gross. Share your blog posts, reminders, scheduled live links ONLY where and when you have permission to do so. If you don't follow this step...The relationships, authority, social proof, and audience growth will NOT happen for you. Well, social proof that you're spammy will happen, but that's it. Reach out to your network. Choose the top 3-5 people in your network that you'd love to be a live viewer on your Q & A and personally invite them. Not a group invite, individual personal invites. If they're not sure they can make it live, ask for questions ahead of time and ask if you can follow up with them later. Engage on any and all comments and questions submitted. If they come in via PM, send a simple thank you for your great question! Click here to receive an email reminder (email reminder link), even if you can't make it live, you'll get the replay! Your Q & A is scheduled and your promotion is in action, now what? Organize viewer questions. Use whatever note app, spreadsheet, or software that you're comfortable with and keep a list of the questions viewers have submitted. Note where the question came from and who asked it. If questions come in via private message, be sure to ask if you can use the persons first name when presenting the question. If questions come in as a comment on a public post, you don't have to ask. Categorize or arrange the questions in the order you'd like to answer them. This will help you create a structure for your event. If you have a signature process or program, you can answer questions in an order that matches your process. Gather more questions. Create a poll or survey to share on your social media accounts and groups YOU manage. Ask specific questions on your social media accounts and in groups. Just don't ask the same question EVERYWHERE, it has a generic spammy feel you don't want. Come up with 3-5 questions you can ask in different places. This will help you generate conversations, increase your visibility on social media, and gather addition information for your Q & A. It's the day before your live Q & A, it's time to boost your promotion efforts! Go live and an thank everyone who submitted questions. As a teaser, read one of the fabulous questions you'll be addressing in tomorrows live. Remind them, they can sign up for a reminder. Post teaser question reminders on your social media. Excited about tomorrows Q & A where I'll answer viewer questions like this great one from (first name) , who asks... It's best if you can change up the promotional posts on each platform so they're not identical. Remember, you don't want to look generic or spammy. Make sure your 48 hour and 24 hour email reminders went out, and check for additional questions to update your running list. Follow up with the 3-5 individuals you personally invited. Confirm if they'll be available live, and ask if they have any questions they'd like answered. It's live Q & A day!!! You've done a great job so far of promoting your event, let's keep it going! Continue your engagement, on comments, questions, and private messages. Post 1 hour, 30 minute, and 5 minute reminders across your social media. The 5 minute warning is great because you'll catch people who are on social media right then who will jump on to see what you're up to. Check for last minute questions and add them to your running list before printing it out. You're LIVE! At this point, you've done everything you can to pull in live viewers and it's out of your hands now. So what do you do if there's no live viewers when you start? Start immediately with your greeting. Do NOT under any circumstance acknowledge there's no live viewers. Do NOT wait for live viewers. You will ALWAYS have more views on the replay, the replay viewer is extremely valuable, so respect them and their time and start immediately! After greeting and introduction...Our first question comes from (name), and she asks (question) thanks for this great question...then proceed with your response. Even if you have live viewers, they may not have any questions, so being prepared with questions is always a good idea! Be sure to state the first name (if you have permission) of the person asking the question, read the question, then respond. Our next question comes from Alice, She asks.... If it's a live viewer question, you'll do it similarly. Ok, live question from Alice, Read question and respond. This allows for a better replay experience and repurposing!!! There's a delay of several seconds to a minute from when you go live and the notification goes out. Be patient :) and remember to start immediately. There will also be delays from when live viewers post questions to when you see them, so be prepared for that as well. As live guest join at the beginning, it's ok to do a quick hello (name) nice to see you, and move on. If you have 10+ live viewers, don't go through each one...remember, respect the replay viewer. You've engaged your audience, promoted not just your event, your professionalism and expertise, you went live prepared with questions to answer, you started right away, respected your live and replay viewers. Go to your email reminder subscribers and send the replay link! Go into the comments of the live Q & A to respond and engage with anyone who commented. Stay on the notifications for the next 24 hours. The people who had questions that couldn't make it live will be checking in and you don't want to miss them! Woohoo! You did it, and whether you had live viewers or not, it was successful, because you did it! The more you do Q& A events the better you'll get, because as my friend Esther say, practice makes progress! P.S. Want more live video fabulousness? Take the FREE masterclass - CLICK HERE NOW!